As you can clearly see – this is not a place conducive to creativity, clear-headed thinking or actually being able to find anything! 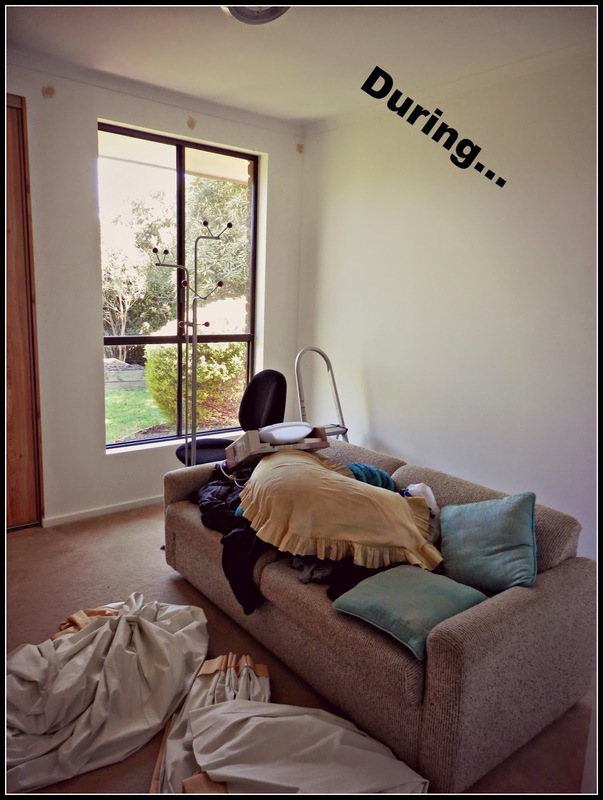 Notice my sewing machine and overlocker aren’t even on the desk intended for them – by this stage they had given up on the mess and moved themselves down to the lounge room! Part of the problem with this room is it only has one tiny window that doesn’t get much light. They room itself gets plenty of light from the big window in the opposite bathroom. The catch? In Winter this room is easily the coldest in the house so if I put on a heater and close the door to keep the heat in you lose all your natural light no matter what time of day it is. 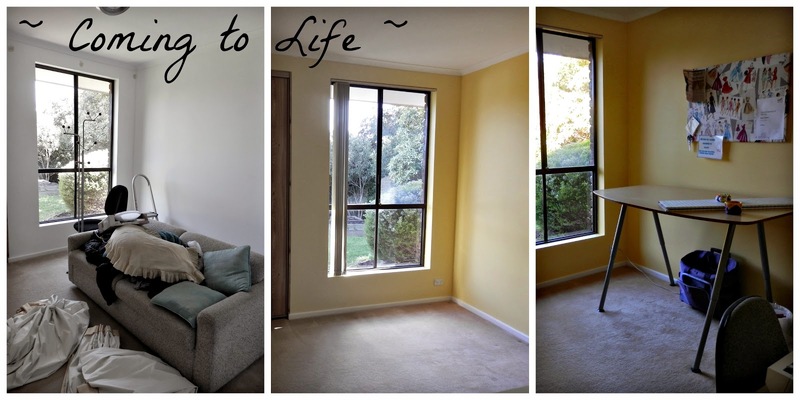 What resulted is I moved sewing down into the front lounge room with our beautiful combustion heater and a lovely view from all the big windows for Winter. 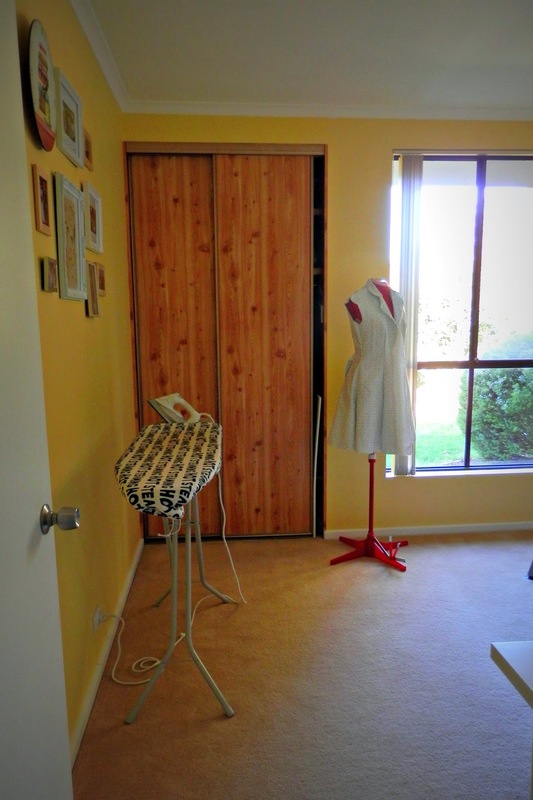 But what’s the point of having a sewing room then? So it was executive decision time and so I decided to move into another one of our back bedrooms since it gets better light and change the current sewing room into a guest/spare room instead. 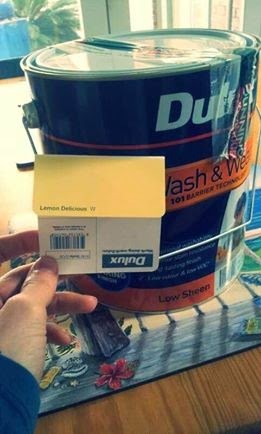 You may also be wondering where the paint colour came from? 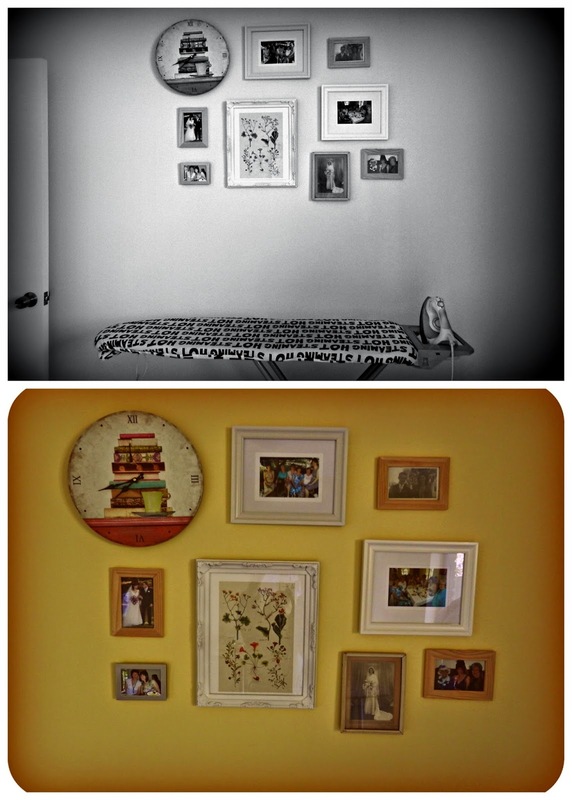 I’ve wanted a lemon yellow sewing room for a while now. Sadly I can’t wear much yellow near my face as it makes me look like I have jaundice! But it is such a happy, sunshiney colour I wanted to find a way to surround myself with it. 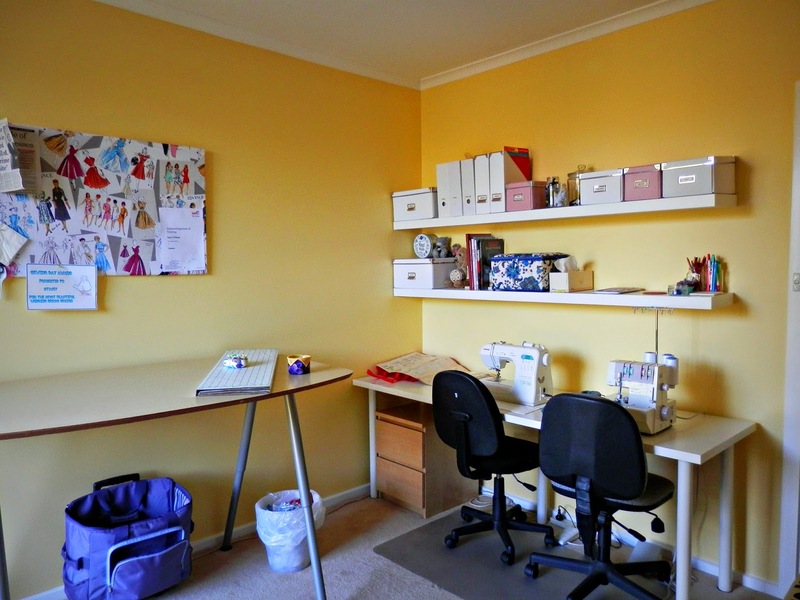 The colour is called “Lemon Delicious” by Dulux – so now my sewing room even sounds delectable! I think it is quite amusing that I let my sewing space take over so much – those of you who know me also know how pedantic I can be about being organised and how much I looove my label maker! I have acquired quite a lot of new sewing things recently when I started StaceyMade Fashion so I think this, combined with such an increase in my sewing activity is to blame. 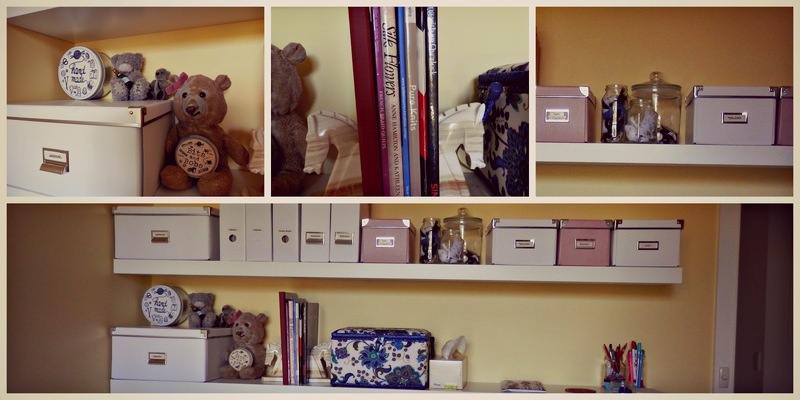 But now I have ample space to store my sewing gear, Hooray! 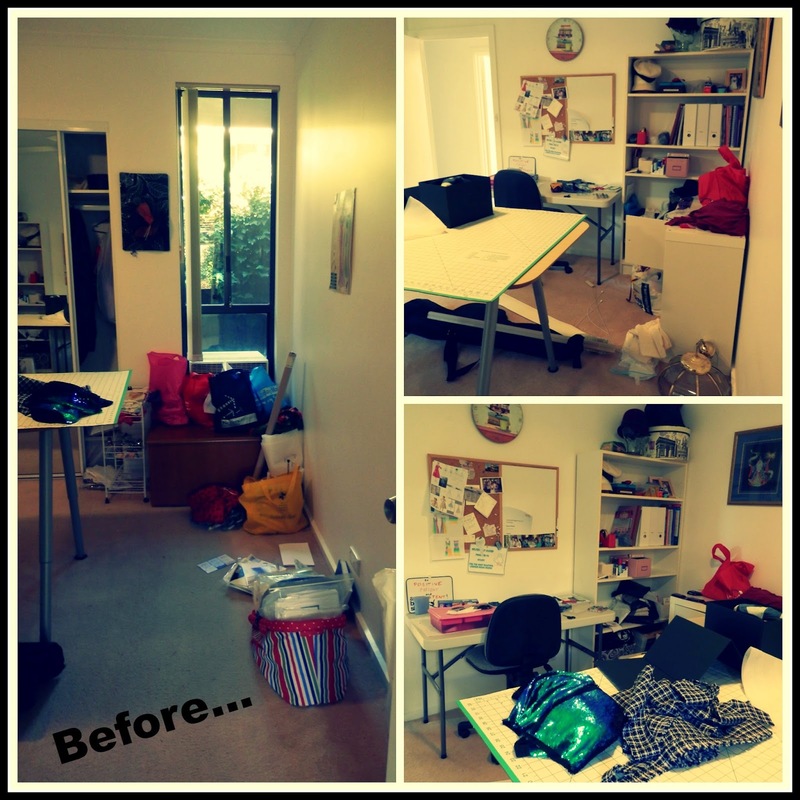 Onwards to The After Photos! Fabric and Patterns and Notions! Oh My! 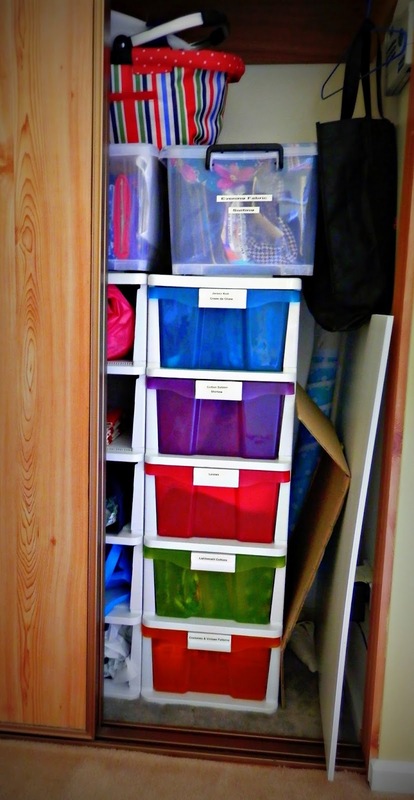 I got these handy plastic drawers and containers from cheap as chips and they are perfect for storing patterns and fabric. 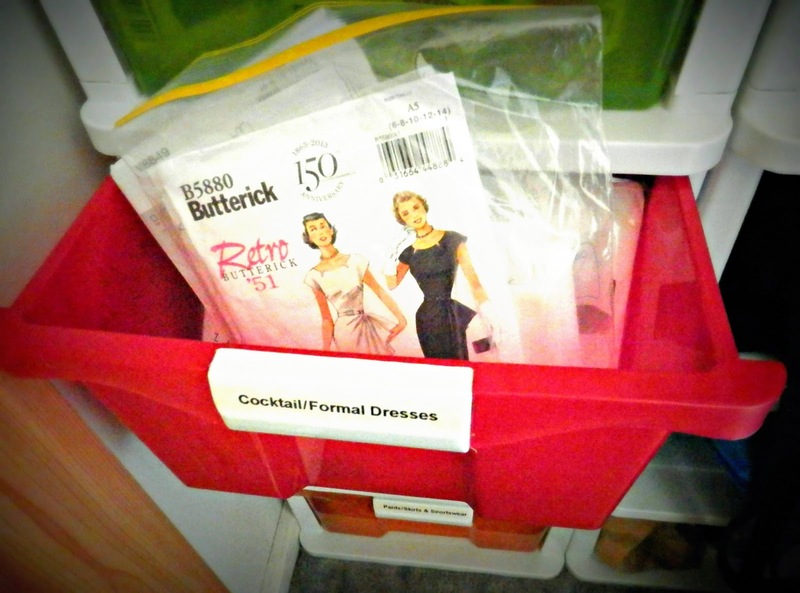 I’ve sorted patterns by type (sundresses; formal/cocktail dresses; tops; bottoms; outerwear; sportswear; costumes etc.) and I store them in ziplock bags to keep all the pieces together after I’ve traced them off. The fabric is also sorted by type (cotton lawn; cotton sateen; ponte di roma; jersey; crepe de chine; evening fabrics etc.) and I tried folding it around cardboard strips and sliding it into the drawer or box so I can instantly see all my fabric options. I do have my own special box of fabrics just for me that I could never part with but I was surprised at how much I had that I liked but wouldn’t be devastated if a client wanted to use. This process of sorting out and folding did highlight how much of a fabric problem I have – lol looks like I’ll be ‘shopping the stash’ for a while yet! 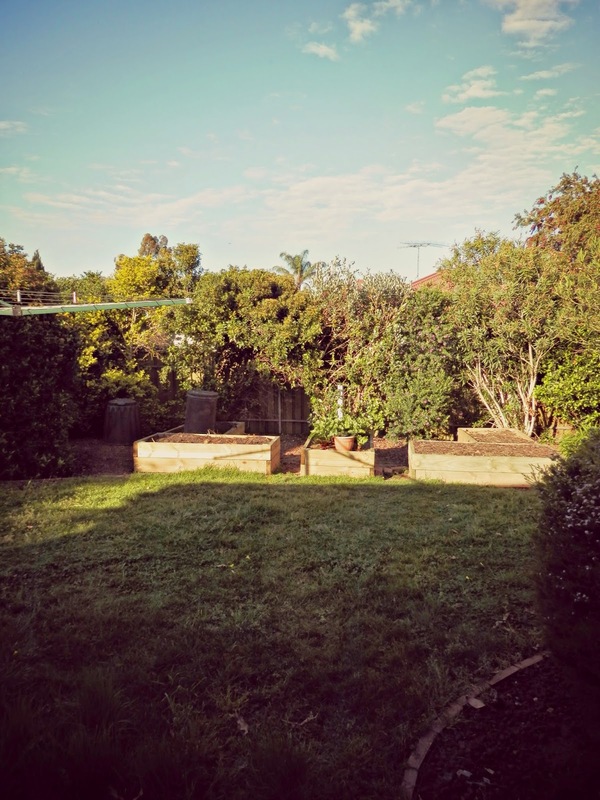 I even have a pretty view now looking out to our backyard and veggie patch – see the strawberry tower? I’m pretty damn excited about that strawberry tower. We need to get planting soon ready for a Summer harvest, YUM!!! I made the cute pin board by covering a cheap cork board from cheap as chips in this upholstery fabric Mum gave me for Christmas last year – don’t you love it? 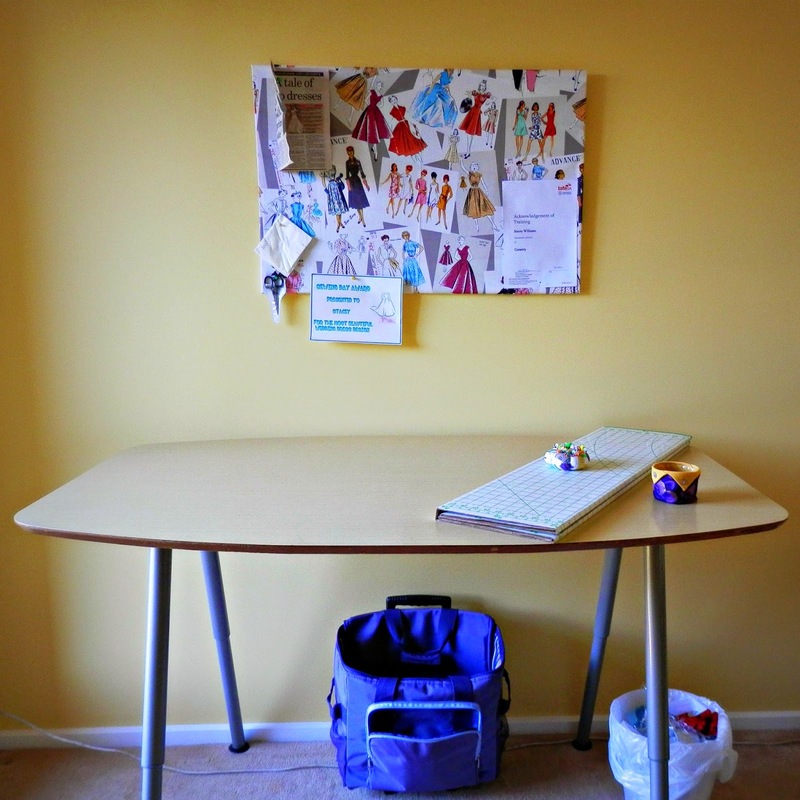 I have to have a pin board in my sewing room, it’s like Pinterest but in real life lol. Teddy’s are clearly the most helpful sewing companions so they have to have a spot! 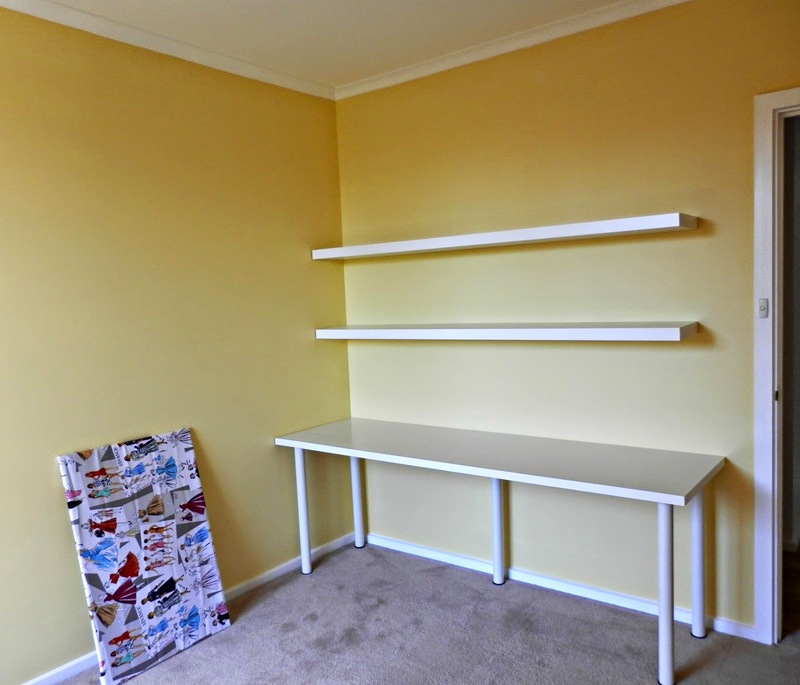 So there’s my new sewing room. In the end the entire transfer took about a week or so – including only a day and a half of painting – the rest was all moving furniture, building storage solutions and sorting! I’m so excited to start working in here – actually I already did some yesterday, as you should be able to tell from the pretty way Merry-the-Mannequin is dressed. It is light, bright, a little girly and a whole lot of creativity. I’ll be trying out spots to take pictures in here of my finished makes so expect to see a lot more of these delicious lemon meringue walls! 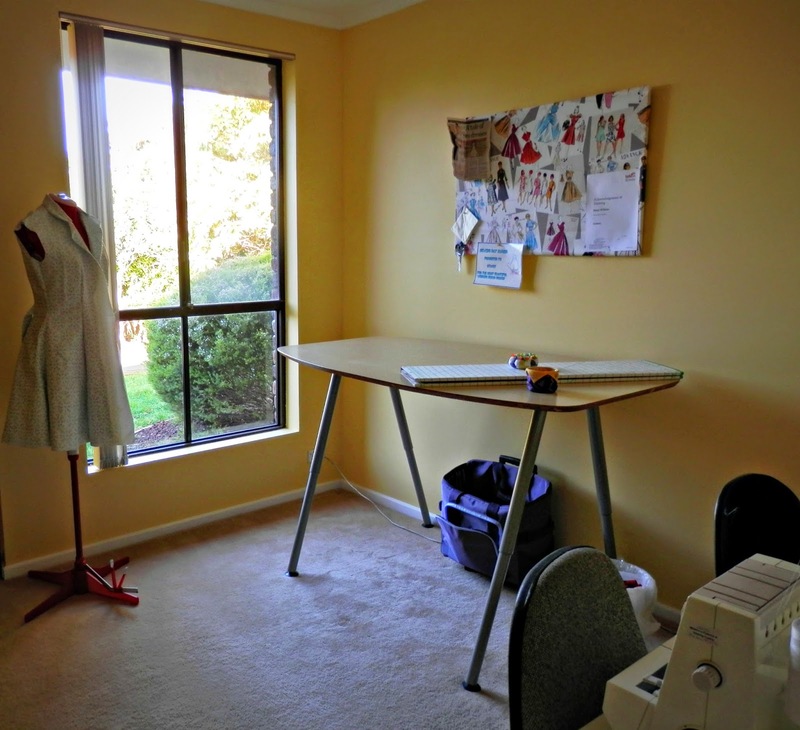 Glad to share my new space with you – if you have a beautiful sewing space (or dream of one) please share it in the comments! I’d love to see anyone else’s favourite creative spaces! Previous Post New Blog Feature!